Just like any surface, wear and tear will dull the appearance of skin. Those seeking to return light and glow to their skin have a number of options, from exfoliating to applying lotions. Sugar can be one of the most effective ingredients when you are trying to lighten your skin; the granules help to exfoliate and cleanse skin, while opening pores for moisture. Mixed properly, sugar can lighten and soften your skin after just a few applications. Try one or more of the following sugar recipes to lighten skin. Mix equal parts granulated white sugar with vegetable oil (such as avocado oil or olive oil) in a bowl or cup. Add a teaspoon of liquid aloe vera for added soothing properties. Rub the mixture onto the desired area of your skin. Allow it to sit on the skin for three to four minutes. Wipe clean with a clean cloth or paper towels, and rinse in warm water. 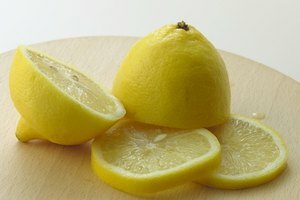 Mix one cup of sugar with half a cup of lemon juice in a bowl or cup. Rub onto the desired area of your skin. Allow it to sit on the skin for three to four minutes. Wipe clean with a clean cloth or paper towels, and rinse in warm water. Apply your chosen recipe at least twice per day to progressively lighten skin. For a sweeter-smelling exfoliate mixture, replace olive oil with more fragrant almond or coconut oil. If the sugar irritates or burns your skin, try replacing the white sugar with brown sugar. 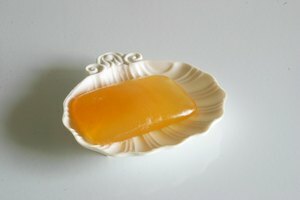 Brown sugar has a softer texture and is not as coarse, and so is better for those with sensitive skin.